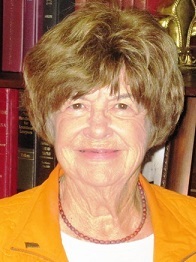 For 40 years, Iva Clavelle has been the driving force behind “TIRAA,” the International Relations Association, an association formed in 1970 to bring together the people of Acadiana for the purpose of promoting international goodwill, tourism and trade between the French and Spanish-speaking countries of the world. Initially, Clavelle served as secretary of “TIRAA” and later became the first woman president and director, a position she is still holding. While representing the association, she attended a “TIRAA”-sponsored mission to the International Trade Fair in San Salvadore and hosted students at the International Fair. As a result of meeting students, she and her husband, Paul Ashby, became guardians of a young student from Guatemala who had a desire to improve his English and study in Louisiana. The student stayed in their home in Carencro. He graduated from Carencro High School and later from USL. The student returned to his home country speaking English and Cajun French and has been an ambassador of our culture. Clavelle works with the International Student Office at UL, sponsoring the Coffee Hour and often invites members of the association to socialize at her home. During the holidays, Clavelle hosts a Christmas party at her home for the UL international students who are unable to go home. This event is a very joyous occasion with singing of songs in many different languages of the world. Clavelle has been deeply involved and supportive of CODOFIL. She became the “second mother” of two Belgium girls teaching French in Lafayette. One is now teaching and living in Columbus, Ohio and the other returned to Namur, Belguim. They have become “sisters” in Clavelle’s international family along with the boy in Guatemala and visit each other regularly. She has worked with Lafayette’s “twinning” committees: Namur, Belgium, Poitiers, France and Moncton, New Brunswick, Canada. Clavelle is a volunteer to help the city of Carencro. Clavelle serves on the Country Christmas committee, the Centennial committee and works with the “twin” cities of Carencro, Dieppe, New Brunswick, Canada and Leuze en Hainaut, Belgium. Clavelle joined the 60-member French Choir of Acadiana which performed for the Congrès Mondial Acadien-Louisiane 1999, sang at the mother church of the Acadians, St. Martin de Tours Catholic Church in St. Martinville and, in 2005, joined another local choir signing for the final ceremonies of the Congrès Mondial Acadien in Nova Scotia, Canada. The choir is now called the Acadian Memorial Choir and is invited to sing French songs for different occasions, including the Giant Omelette festival in Abbeville.